Many use the phrase “stay of execution” in lieu of the technical term reprieve. However, the meaning goes beyond just a “stay” and has transformed into a nuanced pardon power. Most laymen use the words “pardon power” to generally describe this power gifted to the office of the president by the Constitution. However, the power of the president consists of multiple options for the president to consider, including a full pardon of the crime, commutation of a sentence, remission of fine or restitution, or a reprieve. These are considered the powers of executive clemency. All requests for executive clemency, including reprieves, must first go through the Office of the Pardon Attorney. This Office reviews and investigates each petition and prepares a recommendation for the President. The reprieve power is a much narrower power than the pardon. It means to delay the punishment of someone and is a temporary power of the President to determine if other options are available for the person in question. It is the most limited of the clemency powers. The President of the United States is not the only one granted with this power. Most state constitutions give the power of pardon and reprieve to the governor in his or her capacity as executive officer of the state. The United States Constitution only provides the president with the power to pardon individuals convicted of federal criminal crimes. The governor of a state is able to pardon those individuals convicted of state crimes who are incarcerated in the governor’s state. Reprieve can be granted for a variety of different reasons including the possibility of newly discovered evidence, last-minute appeals, or the governor’s concern that there might be an error in the record that should be examined. It is important to note that this is only a delay in the criminal process. It is not a pardon or reduction or commutation of the sentence. It is granted for a specific amount of time and once that time expires, the punishment or sentence of that crime is imposed again. The pardon power is used more than the reprieve power, however, governors typically use the reprieve power more than a United States president. In West Virginia, the Secretary of State website states that over the 36 years of data kept, the West Virginia governor has granted 641 reprieves. 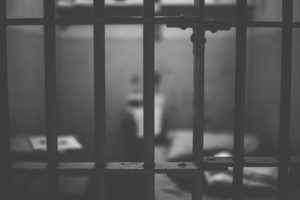 Reasons for granting these included the postponement of incarceration or shortening the period of incarceration due to reasons such as extenuating circumstances in the case or even overcrowded prison and jail facilities. A few notable reprieves granted by governors have occurred over the years. Governor Hickenlooper of Colorado granted one to Nathan Dunlap in 2011. Nathan Dunlap was convicted of killing four people in Aurora, Colorado at a Chuck E. Cheese restaurant in 1993. Dunlap was sentenced to death. Governor Hickenlooper granted an extraordinary temporary reprieve. This meant that Dunlap would not be executed while Governor Hickenlooper is in office. This extraordinary reprieve was the first in Colorado. Governor Hickenlooper stated that the Colorado death penalty system is arbitrary and imperfect. Governor Hickenlooper is not the only governor who has used their disagreement with the death penalty as a reason to grant a reprieve. Governor John Kitzhaber of Oregon granted one to Gary Haugen. Haugen was a twice-convicted murderer who neither asked for a one nor wanted a one. Haugen was scheduled for execution for the killings. Governor Kitzhaber blocked Haugen’s scheduled execution by granting the reprieve. Governor Kitzhaber stated that the death penalty would not occur while he was governor. Governor Kitzhaber was not supportive of the death penalty politically. This raised the legal question over whether or not the person receiving one must accept it. Governor Kitzhaber said he would forestall all executions with reprieves until he was out of office. The granting of reprieves usually comes at the last minute. Governor Eric Greitens of Missouri granted a reprieve to Marcellus Williams just hours before Williams was scheduled to be executed in August 2017. Governor Greitens stated that it was granted for more time to assess the case against Williams. Governor Greitens ordered a five-person “board of inquiry” to look into evidence in the case against Williams and then make a recommendation to the governor. For those who have been on death row for some time, new findings of evidence, especially those based on DNA, is a frequent reason why reprieves are granted. Certain states allow for emergency reprieves. Texas allows reprieves for emergency medical reasons, family emergencies, or emergency reprieve to attend civil court proceedings. The governor must still grant it upon a written recommendation of a majority of the Texas Board of Clemency. The power in a governor and president’s pardon arsenal is a useful tool to achieve a quick action when it comes to sentencing, especially executions. Traditionally not used as often as the pardon power, reprieves have steadily increased, especially by the use of governors. Reprieves have generally be issued for emergency or personal reasons for the prisoners, with their sentences resuming shortly after. It will be interesting to see if the rise in issuing them, especially by governors because of their ideological or moral beliefs about the death penalty, continues to increase. It is important to note that while governors issued a reprieve, usually by executive order, this order is only safe while the governor who issued it is currently in office. How these political reprieves will stay in effect remains to be seen.